Please bear with me as the new quackometer goes through its re-birthing pangs. Transfering to a new, better, more helpful and cuddlier hosting provider is taking time. The Quackometer Engine and other facilities may well be out of action for a short while. Features will come on line over the next few days. Expect bugs and wierd behaviour. Repsek goes out to the Positive Internet crew who have been amazingly helpful, understanding and who have the best support department of any host out there. Sign up with them today. And to the whole community of sceptics. Too many to mention. What can I say? Luv a Duck – it’s Magnetic Holisitic Slippers! Are you going to have a new pond warming party? Great to have you back in your rightful place LCN. 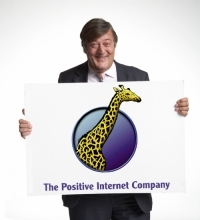 Major kudos to Positive Internet, the sceptics choice. Great to see the black Duck back in the pond.. Welcome back! What happened to you was outrageous. Welcome back from the real world! They struck you down, will you become more powerful than they could possibly imagine? Good to see the Duck is still alive. Welcome back. Vive Le Canard Noir! Netcetera au guillotine! Good luck with your new site, but could you please fix the sidebars? I can only get them formatted correctly in IE. Since I prefer Mozilla based browsers, this is a problem. Can’t tell you how quacked I am to see you back in the pond. I like this site very much, Its a really nice post to read and find info. “I ran the wrong kind of business, but I did it with integrity.” by Sydney Biddle Barrows.